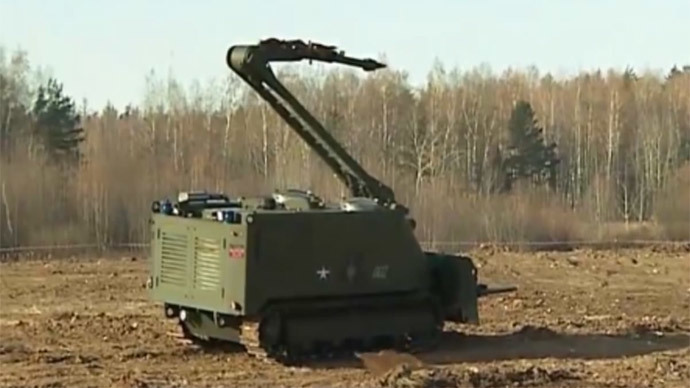 Guests of the Army-2015 forum near Moscow will have a rare opportunity to test sophisticated military simulators for drilling tank crews and helicopter pilots. The ‘Patriot’ military amusement park will open its doors in mid-June. What does it feel like to drive a T-90 tank, or fly a Ka-52 Alligator attack helicopter? Military training equipment imitating these and other activities will soon become accessible for kids and adults alike. Real military visual simulators will be available for public use in a month, when Russia’s Defense Ministry plans to open its year-around military amusement park. Initially, there will be 10 simulators at the park. 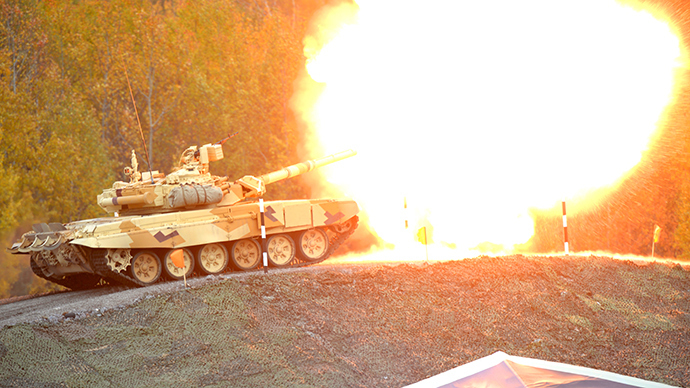 Among the most challenging will be a tank simulator, which imitates in detail not just the cabin of T-90 and T-72 tanks, but also gives the ‘driver’ the full illusion of driving over a chosen terrain, while the cabin lurches and shakes accordingly. For the first time, you will be allowed to ‘take a ride’ in a Ka-52 Alligator attack helicopter simulator, and sit in an authentic cabin that fully replicates all the controls available to a real chopper-gunner. The ‘Patriot’ military park construction site. Among the simulators there’s even one for the ‘Shmel’ (Bumblebee) rocket-propelled anti-personnel flame thrower. 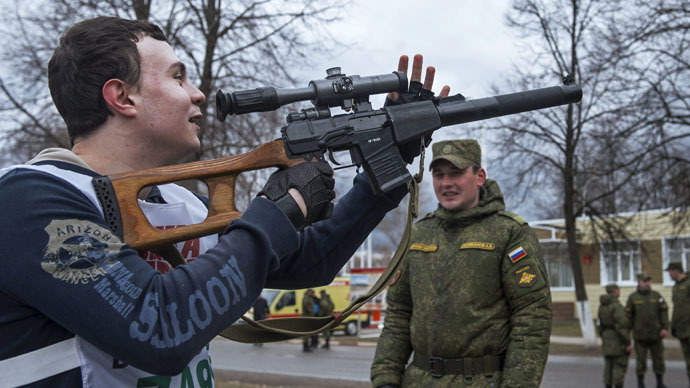 For those who like shooting, a range with Kalashnikov’s assault rifles and machine-guns, as well as SVD sniper rifles and other handguns will be open from 10 am to 4 pm. The ‘Patriot’ military park will be divided into several sections representing different armed services branches: Ground Forces, Air Force, Navy, Airborne Force Troupes, Aerospace Defense, Strategic Missile Troops and will include the famous tank museum in Kubinka. 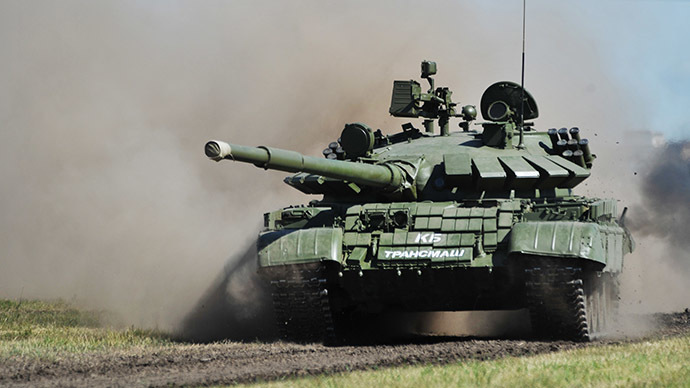 The Army-2015 forum will be held on June 16-19 at the ‘Patriot’ military park with more than 1,000 Russian arms producers taking part in the exposition, presenting over 5,000 items of military hardware and equipment, from innovative military outfits to space technologies. The exposition will be in 50 thematic clusters, including arms and military hardware, military biotech, innovative fuels, integrated laboratories, laser technologies, medical equipment, robotic systems, security equipment for military installations, simulators, UAVs etc.